Immerse Yourself In A Town That Was Forever Changed By One Day. September 11th changed everyone. Every year we remember where we were when the first plane crashed. For the town of Gander, New Foundland it was a day that changed there small town as 38 airplanes grounded in the local airport. At 9:26AM the FAA makes the decision to ground all flights. This action forced 4,000 flights to land in the nearest airport, which meant Gander Airport. It was first reported that 18 planes would land at Gander Airport, and passengers were not allowed to leave the plane. At 12:15PM 13 additional planes land and by 4:30PM a total of 38 planes had landed and 6,579 people were now in the tiny town of 10,000 Gander. At 5:17 all of the passengers were allowed to leave the planes, this was 5 hours after they landed. They were all transported to the salvation army centers, schools, churches and community centers. For the next 5 days, this tiny town expanded their hearts and homes to the visitors. Come From Away is the musical based on the five days. Most of the characters are real including the remarkable story of Captain Beverly Bass. Beverly Bass was the first female captain for American Airlines, Bass was piloting a Boeing 777 on September 11th. 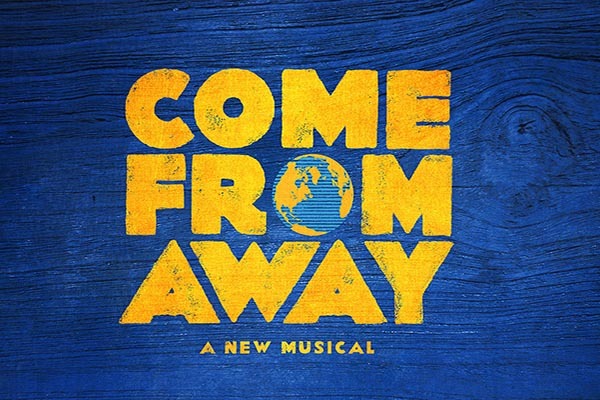 Come From Away takes the stage on April 9th and plays through April 14th with various times. Tickets begin at $60.00 and can be purchased at trusters.org or at 412-456-4800. In case you missed it: the announcement for 2019-2020 PNC Broadway in Pittsburgh.